We have already discussed that cats can fall victim to mosquitoes, but now we need to address our other favorite furry friends: dogs. If you have a dog that spends any time outdoors during mosquito season, it is important to know the risks mosquitoes pose to your dog and how you can keep them protected. Thankfully, there are many effective natural mosquito repellents designed just for dogs that will keep mosquitoes at bay without introducing any harsh chemicals to your pet. Dogs are man’s best friend and it’s tempting to take them along for hikes or strolls in the sun when the weather is warm, but mosquitoes can pose a real threat. To make sure your dog is safe from mosquitoes, you’ll want to use some sort of repellent and we strongly encourage you to consider something natural to avoid any potentially harmful chemicals. To get you started, we’ve collected a list of 5 of our personal favorite natural mosquito repellents for dogs and even listed a few homemade remedies that will keep your pooch happy and mosquito free this summer! Yes! Mosquitoes aren’t picky about where their next meal comes from and they find their prey mainly through carbon dioxide emission and body heat. If your dog spends any amount of time outdoors when mosquitoes are hunting for food, chances are a mosquito will catch their scent and be along to bite your pet. You would be surprised how many people don’t know that their dog is a seriously tempting meal for mosquitoes. Mosquitoes are attracted to their prey through the carbon dioxide they emit and their body heat. They are also drawn to the scent of blood. Your dog may be even more tempting if they spend a lot of time romping in the yard as this will increase the amount of carbon dioxide they breathe out and raise your dog’s body temperature. It is true that certain mosquitoes will avoid dogs (just like certain mosquitoes won’t bite people), but don’t count on your pooch being the exception. 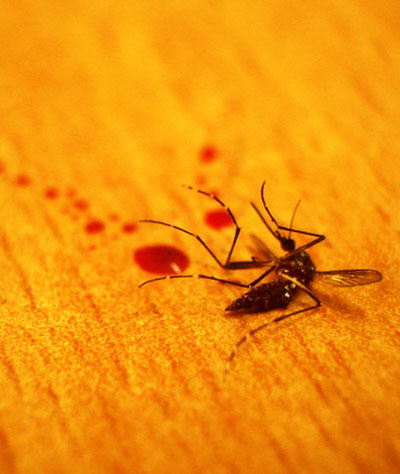 Scientists aren’t quite sure what all factors make certain victims more appealing to mosquitoes than others, but we do know that there will always be a few that are willing to bite just about anything that comes their way. Your dog will no doubt attract mosquitoes and should be adequately protected to avoid the threats they can pose. Additionally, factors in your dog’s environment may initially draw in mosquitoes. Water bowls are a tempting breeding ground for female mosquitoes as standing water provides a wonderful location for mosquito eggs. If a mosquito comes along to investigate your dog’s water dish as a potential nesting place, they may stay to prey on your pet. Keeping your beloved pooch indoors or on a screened porch is the easiest way to keep them protected, but it’s not a catch-all solution. Thankfully, there are mosquito repellents safe to use on your pet. There are also several types of plants you can add to your yard that are safe for your dog but will repel mosquitoes. There are several commercial products available to keep your dog safe from mosquitoes such as mosquito repelling shampoo, but we will be outlining several of our preferred solutions below. We strongly recommend using a ‘natural’ approach. While chemical repellents may seem more effective as a short-term solution, they can also cause poor reactions in certain dogs. Consult your vet before using any unknown or untested repellents. In addition to commercial products, there are some home remedies you can whip up yourself to keep your dog protected from mosquitoes. Scroll down below to check out a short list of homemade mosquito repellents safe to use on your dog. If you like to garden, consider adding mosquito repelling plants to your yard. Basil, catnip, lavender, lemon balm, peppermint, and rosemary are all wonderful additions to your yard and will also help to repel mosquitoes. They are also safe for your dog, so if your pooch decides to investigate, you don’t have to worry about these plants making them sick. Not all mosquito repelling plants are safe for dogs, however, so you should always do your research before planting anything. You may be wondering why your dog’s fur isn’t protection enough from mosquitoes. Although it can be a deterrent to some mosquitoes, others will seek out the more vulnerable areas of your dog’s body. Ears, eyes, and anywhere else that fur is scarce are in danger of being bitten by mosquitoes. Hairless dogs are especially at risk for mosquito bites as they have no fur to protect them for the mosquito’s proboscis. Sadly, the answer is that mosquitoes can indeed kill dogs if they carry diseases or parasites. A mosquito bite can directly contribute to a dog’s death. Mosquitoes are virus carries, but can also cause heartworm disease, which can be fatal for dogs. The largest risk mosquitoes pose to your dog is heartworms. Heartworms are a type of parasitic roundworm that grows in the heart, lungs, and associated blood vessels are animals. When left untreated, heartworms can cause lung disease, damage organs, and can contribute to heart failure. Adult heartworms can grow up to be a foot long and there can be hundreds that grow within susceptible tissue if left unchecked. There are several symptoms to look out for if you suspect your dog has contracted heartworms from a mosquito bite. If your dog has low energy, grows tired after little activity, has a decreased appetite, is losing weight, and has a persistent cough, you may want to have them tested for heartworms. Advanced heartworm disease can also cause swelling within the abdomen. Heartworms can also lead to sudden blockages of proper blood flow to your dog’s heart. If your dog has pale gums, sudden labored breathing, and dark urine, they will need quick surgical care to remove the heartworm blockage. Even if you catch heartworm disease and cure it, there may be lasting damage that your dog will never fully recover from. Many mammals can contract heartworms and they are a huge risk for dogs as canines are natural hosts for the parasites. This is why it is so important for your dog to be on heartworm prevention and to be properly protected from mosquitoes. Although it is possible for your dog to contract other diseases commonly carried by mosquitoes (like West Nile Virus), it is very rare. If your dog does catch one of these diseases, they can prove fatal. Although not as deadly, dogs can be allergic to mosquito bites and can experience hair loss and severe skin irritation. These issues may not lead to your dog’s death, but they will negatively affect their health and should be prevented. Standing water. As we mentioned before, mosquitoes lay their eggs in standing water. Remove any sources (such as pots that may collect puddles of rainwater) to cut down the appeal of your yard. Screens for outside doors. Using a magnetic screen door can help prevent mosquitoes from flying inside and finding their next meal. These are especially useful as a first line of defense for inside-only dogs. Know peak mosquito hours. There are times of day when mosquitoes are more active and it is more likely that your dog will be bitten by them. Try to keep your pets indoors when the sun is setting and at night to limit their exposure. With that out of the way, let’s discuss a few easy DIY mosquito repellents that are safe to use for your dog! There are certain natural ingredients that are safe for use on dogs. Lemon eucalyptus oil is one such ingredient. You can create a homemade bug spray by using a spray bottle to mix 25 drops of lemon eucalyptus essential oil and 4 oz of witch hazel. You can then spray this on your dog to keep hungry mosquitoes away. You can also combine these ingredients with some real vanilla extract or peppermint essential oil for even more benefit. Take note when spraying your dog to avoid getting any in their eyes! You can also dilute certain essential oils and dab them at the nape of your dog’s neck to naturally repel mosquitoes. Here is a list of essential oils safe to use on your dog: verbena, lavender, pine, catnip, rosemary, basil, thyme, lemon eucalyptus, lemon balm, peppermint, and fennel. Just remember that essential oils are extremely concentrated, so always mix them with a carrier oil before application. Finally, you might consider feeding your dog some garlic to help repel mosquitoes! Dogs can safely consume 1/4 clove of garlic per ten pounds. Simply mince the garlic and add to your dog’s favorite food, then it’s chow time. Garlic is most effective when it has time to really spread throughout your dog’s system, so begin feeding garlic at least one month before the start of mosquito season for the best results. Each dog is unique and one type of mosquito repellent may not work for every pooch. For optimal protection, I personally recommend this insect repellent balm. I find the aroma very pleasant and its list of natural ingredients is safe for dogs and dog owners alike. The balm can also help soothe any insect bites that may have occurred before applying repellent, so it works twofold! There are mosquito repellent products that use materials to keep insects at bay. These materials can be used to create blankets, clothing, or other textile goods. They are also safe for your dogs to wear and use. They are often known as ‘insect shields’ or will have words like repellent in the title. Sprays are also a really effective solution to repelling mosquitoes from your dog. They are often very easy to use and can be easily applied to even the squirmiest of dogs. Their real drawback is their window of effectiveness: mosquito repellent sprays need to be reapplied every few hours (at least) in order to continue working effectively. As I mentioned above, there are also balms and ointments available that will repel mosquitoes from your dog. Many of these ointments are especially useful on the more sensitive parts of your dog’s body (ie, their ears or eyes). They are often gentle enough to be used of existing insect bites and can even help soothe any sores left behind while preventing any future attacks. Finally, there are insect repellent collars specifically targeted for mosquitoes. They work in a similar way to flea collars: the actual collar is infused with a mixture of oils specifically designed to repel mosquitoes. There are insect shields designed to protect your dog from mosquitoes. These work by acting as a physical barrier between your dog’s skin and the mosquito’s probing bite. This insect shield mesh tank top is easy for your dog to wear and will protect them from potentially harmful mosquito bites. Not only that, but the fabric is lightweight and won’t cause your dog to overheat thanks to mesh side panels designed for ventilation. As a bonus, it’s machine washable so if your dog gets their shield top dirty during a day of play, you can clean it with the rest of the laundry! This flea and tick spray from Vet’s Best is perfect for keeping your dog safe from mosquitoes. It’s designed for outdoor use only and is safe for both your dog’s kennel and your yard; the ingredients are derived from natural oils and are organic. You simply hook up the bottle to your hose and spray outdoors to keep mosquitoes at bay. The formula is safe for your dog, so no need to worry about him digging around in the grass after using this repellent. It also won’t harm your plants and doesn’t have any unsightly staining effects. Just like your dogs can wear insect shields, they can also lay on them. This insect repelling blanket is perfect to stash in your dog’s kennel or put on their bed to keep mosquitoes at bay. The materials used are incredibly effective at keeping mosquitoes away without any strong odors. It is easy to pack up and travel with, so it’s perfect to take along when you and your dog head out on a camping trip. Your dog will also love sleeping with this blanket because of how soft and comfortable it is! 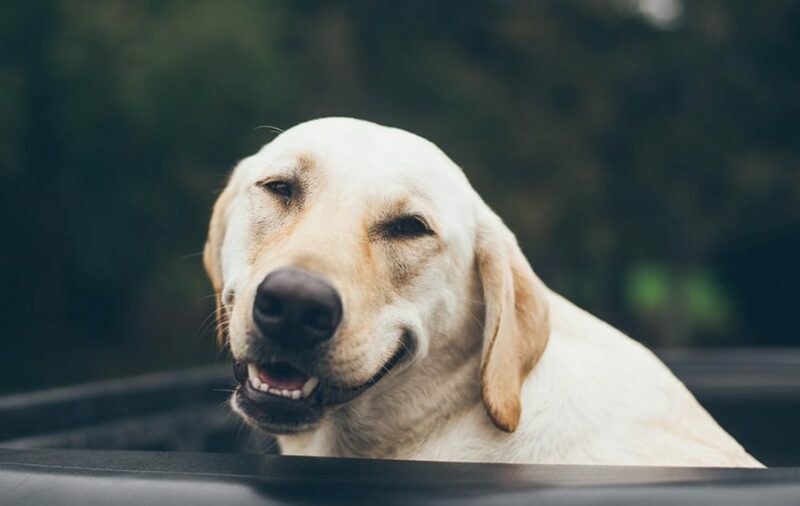 While we listed some homemade dog mosquito repellents, you can also purchase natural ointments to protect your pet from insect bites. Flys-Off Fly Repellent Ointment is efficient as protecting from all sorts of biting insects, including mosquitoes. It is ideal for dogs that already have bug bites and irritation. You apply this ointment directly to any sores or sensitive areas and it effectively repels further insect attacks. It also has a very pleasant citrus-like scent, so your dog is less likely to be repelled by the smell. Perhaps one of the easiest solutions to repelling mosquitoes from your pooch, Dr. Mercola’s Herbal Repellent Collar is easy to use and offers lasting protection. The collar is good to repel mosquitoes for up to four months, which can help you save money. The formula used is created with a special blend of herbal oils, so you don’t have to worry about any harsh chemical effects. The collar is even safe in water, so no need to worry about changing it if your pooch decides to go for a swim! The creators are so sure this collar will work for you, they have a 100% money-back guarantee if you find it isn’t keeping your pooch protected–but we’re sure you’ll love how effective and easy it is to use. Hopefully, after reading this article, you have a better understanding of the risks mosquitoes can pose to your dogs and what natural repellents you can use to keep them from biting your pet. Mosquitoes can pose a serious threat to your dog, but there are plenty of solutions out there to keep them at bay. On top of the products we’ve discussed above, we also recommend keeping your dog inside as much as possible during mosquito season. The less exposure they have to those winged pests, the less chance they have of being bitten. In addition to the products outlined here, we have even more effective mosquito repellents listed here. You can rest assured that all of the products in this article and the one we linked have been personally tested and proven effective at keeping mosquitoes away. Mosquitoes can be a real pain, but when you find a repellent that works for you, their irritation will become a thing of the past!